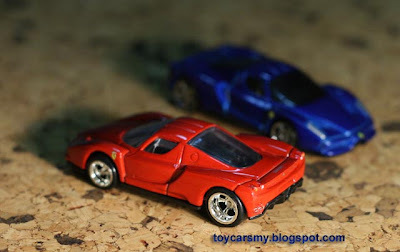 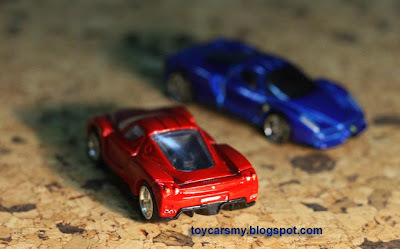 Description: The Enzo was purchase from Ebay Malaysia as loosed item. 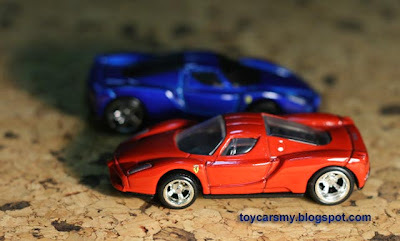 As you know the regular T-hunt Enzo is equipped with normal 5 spokes wheels, but the rubber Enzo painted in Metallic Red which doesn't looked original to Ferrari. 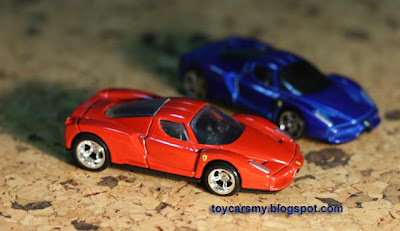 This customization is to make perfect of the both worlds where Ferrari Red Enzo fitted with super treasure hunt rubber wheels, a simple customization with great result.